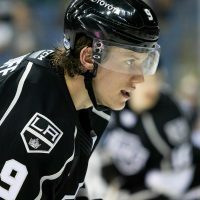 After resigning his three unrestricted free agents this summer – Colin Fraser, Dustin Penner and Jarret Stoll – Kings GM Dean Lombardi had his roster all but set. However, the team was still set to make one more addition in late July. Following an interview process that included putting guys to work at his ranch in Alberta, head coach Darryl Sutter was ready to name his replacement for outgoing assistant coach Jamie Kompon. Enter Davis Payne, who just turned 42 years old. 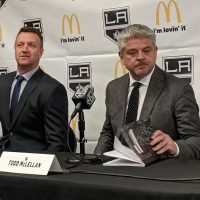 His resume includes playing and coaching stops in the ECHL, AHL and NHL – including a 4-3 win by St. Louis over the Kings in Los Angeles, his first-ever as an NHL head coach. After just 137 games behind the Blues’ bench though, he was replaced by Ken Hitchcock. 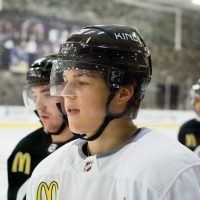 Now, eager to return to the NHL, he joins us on the MayorsManor show for a look back at his career on and off the ice. NOTE: If you’re on an ipad or iphone, click here to listen to the show. 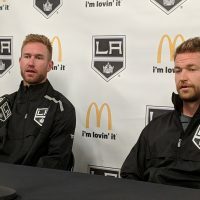 To see video of the Payne vs Boughner fight – along with a few other tidbits about the new Kings assistant coach – click here. 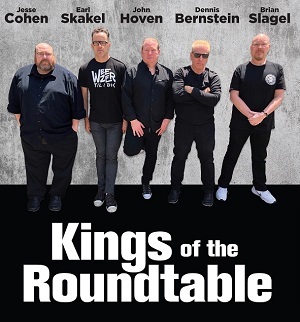 If you’re feeling nostalgic, click here for the show with did during the playoffs with former assistant coach Jamie Kompon (note: Nick Nickson and Jeremy Roenick were also on that show). 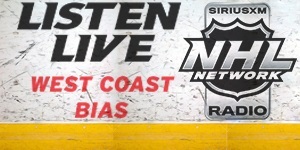 The full list of shows we did during the lockout – featuring Jeff Carter, Drew Doughty, Colin Fraser, Matt Greene, Trevor Lewis, Dwight King, Alec Martinez, Jordan Nolan, Dustin Penner, Tyler Toffoli, Kevin Westgarth and dozens more – can be found here.